The V&A is famous for it's collection of artifacts from al over the world and historical significance. They recently have highlighted musical icons, David Bowie being one of the first. 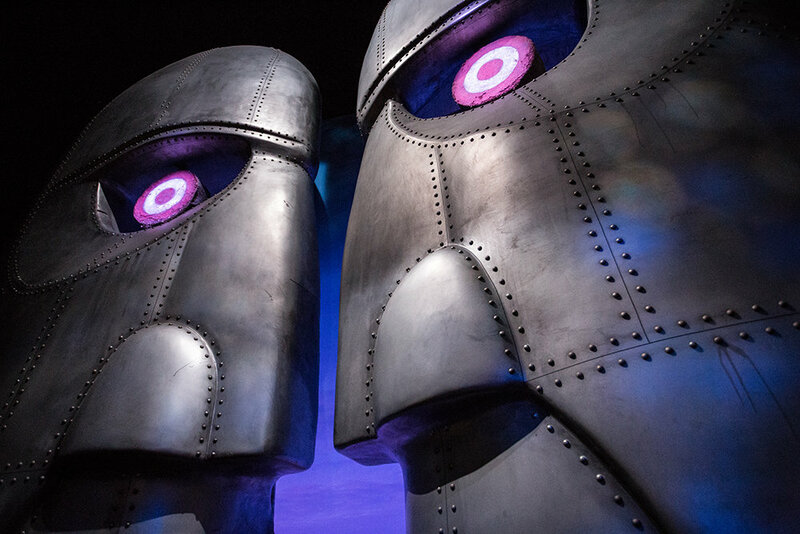 The Pink Floyd exhibition has stolen the thunder ! We have been twice already and may be a third is possible. The "Division Bell " is an iconic album of theirs without Roger Waters and sadly lost Richard Wright recently who was one of the guiding influences after Waters left. This image is just part of the enormous exhibition to take you on a thrilling musical experience. Take your self off to this, unmissable ! !